Europe’s fiscal and financial crisis undoubtedly constitutes its foremost contemporary challenge. But the challenge of integrating ever-growing Muslim populations into its cultural mainstream is not far behind – and in many ways is linked to European economic woes. These two books address Western Europe’s efforts to find a place for Islam. Christopher Caldwell surveys approaches across Europe, while Melanie Phillips focuses exclusively on Great Britain. Caldwell’s title is an allusion to Edmund Burke’s 1790 “Reflections on the Revolution in France.” Caldwell starts with a 1968 speech by British Tory parliamentarian Enoch Powell on April 20, 1968, two short weeks after Martin Luther King was killed in the United States. In this speech, Powell decried rising immigration into Britain. He forecast American-style urban ghettoes and said that watching immigration into his country was like “watching a nation busily engaged in heaping up its own funeral pyre” (p.5). I was living in London at the time, and remember well Powell’s speech, which was the subject of much discussion with my British friends. Although the term “politically correct” was not yet in use, it was very clear to me and my friends — all of us wise and worldly 20 somethings — that Powell’s ideas were most incorrect politically. My recollection is that we almost unanimously compared Powell, an erudite classics scholar, to the retrograde Southern racists whom we assumed were responsible for King’s death. Since that time, however, as Caldwell states, all British discussion of immigration may be reduced to whether Powell was right. Caldwell traces how both Britain and continental European countries increased immigration in the ‘70s, ‘80s and ‘90s of the last century, without sufficient forethought of the consequences. He outlines the differences between European countries, with varying rationale for opening borders and diverse approaches toward absorbing and welcoming immigrant populations. 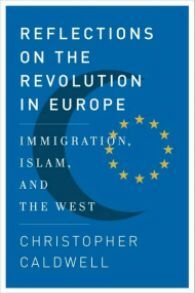 Caldwell considers judiciously both sides of the arguments that Muslims can be integrated into these countries, but leaves no doubt that in his view such integration is a steep, uphill battle across Europe, not least because a certain part of the European Muslim population is “dedicated to Europe’s destruction by armed violence” (p.172). Caldwell describes two models for immigrant assimilation, British and French. Britain’s model is “multicultural,” holding that one may “keep one’s culture as long as one [obeys] the law of the land” (p.151). Caldwell prefers the French model, which holds that immigrants “should become French in their cultural loyalties” (p. 151). Despite – some would say because of — its multi-cultural model, Britain remains “by far, the European country with the most serious dangers of violence and political extremism” (p.301). France’s republican traditions, by contrast, “give it the best chance of fully assimilating the children and grandchildren of immigrants. It is the only country where a European equivalent of the American dream is likely,” Caldwell concludes (p.301). Although Caldwell’s purpose is not to compare European and American approaches to immigration, he regards Hispanic immigration to the United States as an altogether different phenomenon from Muslim immigration to Europe — far more benign, far less threatening to our culture. Latin American immigrants come with a European language, he says, which is “inevitably discarded for English by the second generation.” Latinos’ “cultural peculiarities” are “generally antiquated versions of American ones” (p.12). They have “less money, higher labor-force participation, more authoritarian family structures, lower divorce rates” than native white Americans. Their culture, in its broad outlines “is like the American working class culture of forty years ago” (p.12). I would have liked more discussion in Caldwell’s book about non-Muslim immigration to Europe. Are the prospects for integration of West Indians, sub-Saharan non-Muslim Africans, and Asians from India, Vietnam, Cambodia and China as bleak as those for Muslim immigrants? It was immigrants from all these places, not simply Muslim countries, which prompted Powell’s 1968 remarks. But Caldwell’s critique of the effect of Muslim immigration on today’s Europe, while provocative, is well-reasoned and cogent. 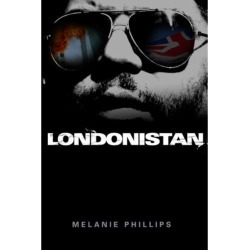 In “Londonistan,” British journalist Melanie Phillips comes across as Enoch Powell on steroids. She would surely agree with Caldwell that Great Britain today is “by far,” the country most vulnerable to Islamic violence and political extremism, and would not hesitate to attribute Britain’s vulnerability precisely to the multi-cultural model of assimilation which Caldwell describes. Phillips starts with the July 2005 London bombings, which revealed a society initially in denial that these attacks had been carried out by home-grown Muslims, “suburban boys who had been educated at British schools and had degrees, jobs and comfortable families” (p.viii). As denial faded, Phillips found Britain pitifully unable to confront the threat posed by the violent ideology she terms “Islamism”: a “particular interpretation of authentic Islamic principles” (p.168) that is the “dominant contemporary political force within Islam. . .. an ideology that seeks to destroy Christianity and its values” (p.141). In Phillips’ view, Britain’s ability to counter Islamism is undermined by a flabby and permissive social culture dominated by “secular nihilists” who disdain the country’s Judeo-Christian values. Secular nihilists are infatuated with the “doctrine of multiculturalism,” and obsessed with the rights of victims and minorities. Phillips contends that an unquestioning tolerance for non-Western cultures, militant feminism, exaltation of gay rights, and a judiciary which has supplemented the common law with more general human rights norms have, taken together, rendered Britain ineffectual in countering the grave threat to its existence growing in its midst. Today’s Britain is “locked into such a spiral of decadence, self-loathing and sentimentality that it is incapable of seeing that it is setting itself up for cultural immolation,” (p.189), Phillips warns direly, echoing Powell’s 1968 clarion call. Ironically, “self-styled progressives of the British left” have aligned themselves with Islamism – “which denies female equality and preaches death to gays” — to advance their common goal, “the destruction of Western society and its foundation values” (p.xxiii). Further, there is irony in Phillips railing against many of the manifestations of modernity in today’s Britain, when the most common prescription for bringing Islam out of the dark ages and into the 21st century is some form of Muslim Enlightenment – development of a secular sense and a more general spirit of free inquiry, with recognition of equality for women and homosexuals. Phillips’ strong condemnation of the anti-Semitism which pervades much of the Muslim world is to be lauded. But she is far less critical of the subordinate role of women in Islamic societies and I had to wonder whether this was because excessive feminism figures so prominently among the reasons she contends that Britain is incapable of countering Islamism. Phillips recommends requiring a civil marriage certificate before an Imam could perform a marriage ceremony, thereby, she hopes, halting the drift toward parallel Sharia jurisdiction where polygamy is recognized; instituting tough controls on immigration “while Britain assimilates the people it has already got” (p.188); and teaching Muslims “what being a minority means” (p.189). These measures may be reasonable but the likelihood that they will make any serious dent in Islamism seems at least as dubious as the outreach efforts to moderate Muslims which she belittles throughout her book. Like everyone else struggling with the issue of assimilation of the Muslim population into Western European societies, Phillips falls short in specific solutions. Finding such solutions ranks among the most pressing challenges facing contemporary Europe.